A healthy lifestyle is not only proper nutrition, moderate physical activity, full sleep, but also the things that surround us in everyday life. Sometimes, in order to feel better, you need to get rid of a number of things that are usual for us, about the harm we do not think about. Healthy food is not only quality products, but also the proper storage of food in the refrigerator. This is also important because the remains of food, which is stored for a long time, can be poisoned, and because the spoiled food will start to spoil and the fresh provisions that lie next. Moreover, if you “forget” the half-eaten food in the refrigerator, this can lead to the appearance of dangerous bacteria. Usually hostesses for a large family are prepared for future use. For example, soups and broths. Well, if a pan of soup is eaten in two days. And what if I do not? Soup on meat and fish broth, which is stored in the refrigerator for more than two days, pour out without regret – they can simply be poisoned. A little longer it is possible to store broths on vegetables – up to 62 hours. In the trash can, send canned goods that are open more than a day ago – they can not be stored at all. Fried and baked meat, as well as fish of all sorts, can be stored in the refrigerator for up to 72 hours, boiled and stewed meat and fish dishes even less – no more than 24 hours. Ideal dishes for storing ready meals – glass with a lid. So the products will not come in contact with the raw, nor will they “smell like a refrigerator”. Under-eaten slicing (cheeses, sausages) is best wrapped with food film. The habit of cooling ready meals before putting them in the refrigerator is a relic of the past. Modern refrigerators do not need to be thawed, they do not form pieces of ice due to thermal effects. Therefore, everything that you plan to submit for tomorrow, put in a refrigerator in a warm pan (not hot, just removed from the fire). This will allow food to be better preserved, secure it from the multiplication of bacteria. Proper hygiene is not only how often and thoroughly we wash, but also what we wash. The wet wad, on which the dead skin cells remain, is a good medium for bacteria and mold. Especially, if the sponge is made of natural materials. Take yourself for a rule to change the loofah every month, if it is a product made of natural material, and every six weeks – if from artificial. Do not store the loofah in the bathroom – because of the wet environment, the bacteria will multiply faster, be sure to dry it. If you notice stains on the washcloth, it becomes unpleasant to smell of mustiness, just throw it away. When choosing a sunscreen, many are guided by the degree of protection, and for the shelf life of the product they pay little attention. Why buy a new cream, if more than half of the tube left from last summer? Meanwhile, the duration of storage of the cream with SPF after dissection is not just a marketing move, but a really important factor. The fact is that the components of the cream, which provide protection against UV rays, completely lose their properties during long-term storage. So, using last year’s cream, you leave your skin completely defenseless in front of the sun. Therefore, throw away, without regret, an open tube that has stayed with you since last summer. Sometimes a toothbrush is the last thing we pay attention to. But the state of our teeth depends partly on it. The toothbrush is recommended to be changed every three months, and if it becomes outwardly unpresentable – worn, disheveled bristles, then it should be replaced before. Remember that the old toothbrush not only ceases to cope with its duty (cleaning the plaque from the teeth), but also becomes a source of bacteria. On the idea of ​​sponges should ensure the cleanliness of dishes. But how clean are the sponges? 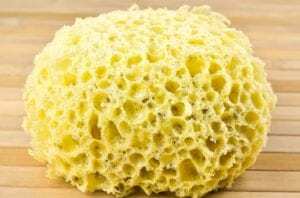 The scientific edition of Scientific Reports published the results of studies of used kitchen sponges by three German institutes, which showed that these products are breeding grounds for bacteria and fungi. So, for example, in the sponge was found the microbe Moraxella osloensis, causing infections in people with weakened immunity, as well as the bacteria Acinetobacter, ranked by the World Health Organization to the most dangerous. Thus, the porous and moist sponges with which the dirty surfaces in the kitchen are wiped, utensils, boards for cutting meat and fish are a source of bacteria dangerous to human health. The contamination of the sponges is completely independent of the material of the product. Whether it’s the cheapest or the most expensive sponge – in a week they are compared by the number of bacteria. It is noteworthy that the results of the study showed that neither the treatment of sponges with detergents and washing powders, nor heating in a microwave oven (one of the popular home methods of “disinfecting” sponges) is not effective enough to reduce bacterial load. The most preferable way to observe hygiene in the kitchen is to replace sponges. Optimal – once a week. 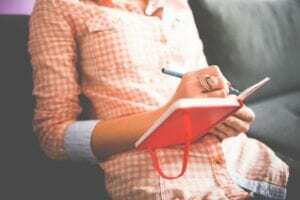 Cashier’s checks, payment receipts, ATM checks – it is difficult to count how many checks we receive daily and, without hesitation, store them in pockets, bags, purses, store at home. According to the researchers of the Children’s Medical Center, Cincinnati, Ohio, we should get rid of this habit. According to the data they received during the research, thermal paper, on which checks are printed, contains bisphenol A, an elevated level of which can cause a number of health problems. Many housewives will say that cooking in frying pans with non-stick coatings is a pleasure: frying pans are evenly warmed up, they are not stuck with products, they are easy to take care of. However, the composition of this coating includes such chemical compounds as, for example, PFAAs acids, which can have an adverse effect on human health. Particular danger poses a damaged non-stick coating: frying pans with scratches and chips can throw out a large amount of harmful substances even with a slight heating. Therefore, if you notice that the cover of your dishes has worn out, discard it without regret. The employee of the Office of Sanitary Food and Drug Administration (FDA) Paul Honegfort recommends avoiding chips and damages to cookware with non-stick coating, since there is a high risk that such a coating will release toxic compounds. To prevent scratches, he advises using wooden spoons to stir, do not stack pans one to the other (or to forgive paper towels between them), do not clean the frying pans with coarse brushes. Any cosmetic product has its expiration date. However, not always expired cosmetics goes where it should – in the trash: it’s a pity to throw out expensive luxury cosmetics and limited products, if they are only used half. Meanwhile, cosmetics, especially products on a liquid basis, are dangerous for our skin: it can clog pores, cause allergic reactions, rashes. For example, mascara is not recommended for use for more than 3-4 months, because its environment is ideal for the reproduction of bacteria. The same applies to creams, tonal bases, tonics. Throw out any “delay” without pity, especially if its color or smell has changed. The only cosmetic products that can be stored and after the expiry date is vintage perfumery. Means with mothballs are still used in everyday life to combat moth. However, in a low concentration, it works poorly: a high dose of a substance that is dangerous to human health acts on the mole. The US Environmental Protection Agency has classified naphthalene as a possible carcinogen that can cause cancer in humans. To be poisoned by means of moths with mothball is quite realistic if you stay in the room for a long time and breathe in pairs: among the symptoms – nausea, headache. Another substance that is part of modern insecticides is paradichlorobenzene. Usually it is found in tablets from moths that need to be placed above clothing. The inhalation of vapors of this substance is extremely harmful to human health. Such tablets should not be used, or at least not laid out in the cabinets that are in the bedroom. Clothing and linen from cheap low-quality synthetic materials can lead to skin problems: dermatitis, rash, itching, redness, allergic reactions can appear even in a person who has never suffered from skin diseases. Particular attention should be paid to choosing clothes. The constant wearing of synthetic linen disrupts the normal ventilation of the skin, causes an increase in sweating, and creates an environment for rapid and active reproduction of microbes. Next PostNext What is Schizophrenia?